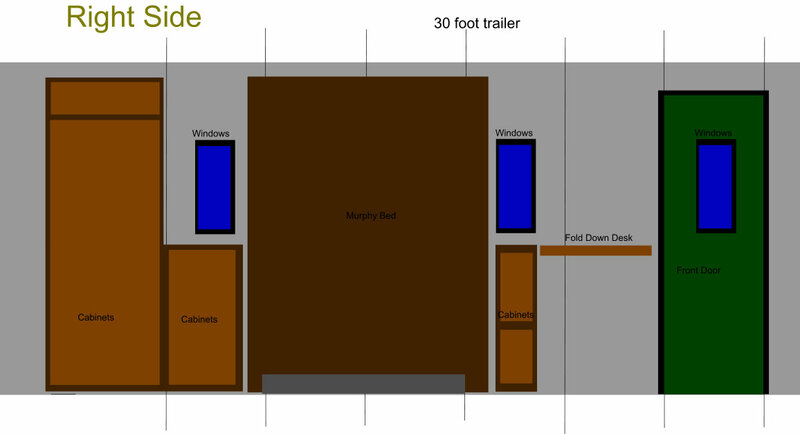 This is the story of my journey building a tiny house, my mini mobile cottage. 8ft x 24ft of living space, I can't wait to see the end product and I want to share it with you! It is my goal to be both smart and helpful in what I post to help you in your journey. Thanks for following along. I have created a rough sketch of what I think the build will become. The biggest consideration is weight as I went a bit overboard on the robustness of the Mini Mobile Cottage and it got pretty heavy for the trailer I built it on. Therefore, as I go through the planning phase I am looking at lighter materials and construction methods that don't add bulk to the end product. I want a lot of open space so I have designed it as such. I have a plan for electrical and a plan for plumbing. I will probably go back to what I know and use a composting toilet but I still need a grey water system for the sink and the shower. All good things to think about. Well here is the rough outline that more then likely will change a bit in the final outcome but this is a good starting point. I did notice that the right side drawing is backward, so much for my architectural skills. 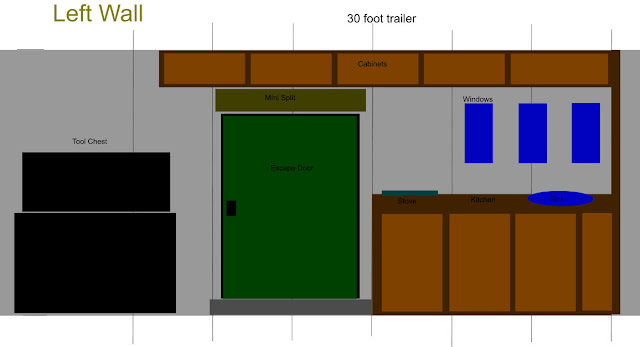 This is the story of my building project and the ongoing life in my Mobile Cottage. While I had originally thought of the blog as a tool to share what it took to build the Cottage, I have now transitioned to the story of living in 192 sq ft. What a great way to live!